The first ever Queer Pride Parade in the State has witnessed the active participation of members of Lesbian, Gay, Bisexual, Transgender, Queer or Questioning and Intersex (LGBTQI) community and their supporters in the capital city here on Sunday. 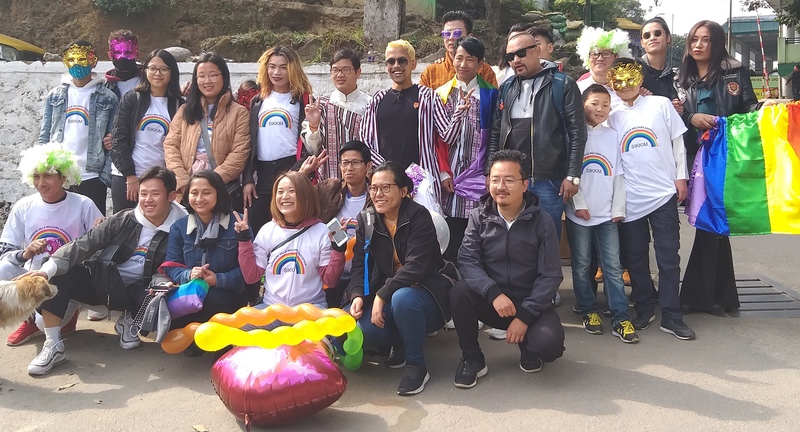 The parade was taken out by Gangtok-based Rainbow Hills Association (RHA) in association with Darjeeling-based Miitjyu Society and has the participants from Sikkim, neighbouring hills and Bhutan. The parade started from Deorali with carrying a banner and placards and walked along the National Highway upto Hospital Dara and then down to Paljor Stadium and finally ended at Fish Pond. The main objective of the initiative is to campaign for the equality and acceptance of LGBTQI members in the society. Speaking to mediapersons, RHA co-founder Tshering Wangchuk Lepcha stated that the recently formed RHA has been working for the welfare of LGBTQI members and has been working a bridge between LGBTQI and the society by creating mass awareness for social acceptance. “This is the first ever Queer Pride Parade in the State to create awareness among the people of the society that we are also human being and everyone should accept us. We have won the law but we have to won the society. So, I would like to request the people to help them to come out and to express their identity,” he said. 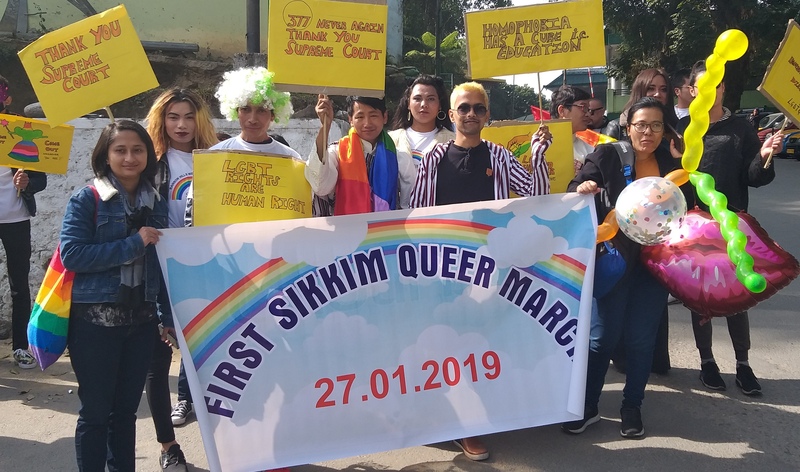 A Sikkim University research scholar, Lhamu Dukpa, who is doing research on transgender, stated that it was an unprecedented rally to create a certain level of sensitization among the people to make more aware about this issue. She added that such initiative would help to bring transformation from the grassroots level. Likewise, founder of Darjeeling-based Miitjyu Society, Lakpa Tamang mentioned that the main objective to conduct the rally was to create mass awareness in the society. He added that this was the first step with the hope that LGBTQI members would able to come out with such initiative. He mentioned that this initiative was also to create awareness among the people as if the family would able to accept them then the society will accept them automatically.